May I take a moment to give you a bit of news? A writer’s art is mostly about balance. Balance of the elements of plot, dialogue, description, dynamics between protagonists and antagonists, even long sentences and short ones. 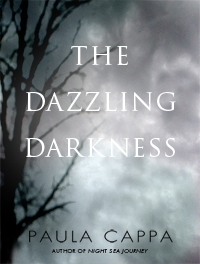 I wrote my first novel at age 21 about vampire bats and my second novel about a haunted windmill. Both were dreadful novels and crushing failures. I wrote a pack of short stories and they also failed to see the publisher’s light of day. I rejected fiction writing for a while, wrote freelance feature articles for newspapers with surprising success; then I went back to fiction writing, determined to excel in my craft: read, examine, study, write; read, examine, study, write. 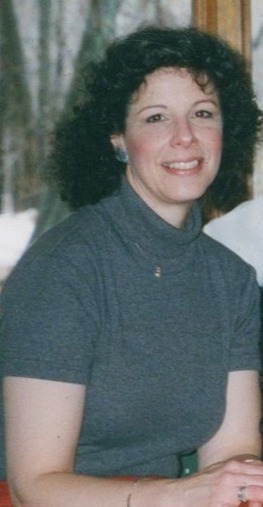 Here I am (I won’t say exactly how many years later) with seven short stories published in literary journals and anthologies, and two “quiet horror” novels selling conservatively on the internet (The Dazzling Darkness did make the Amazon ebook best-seller list for about 24 hours–a thrilling day), and book reviews by industry professionals and customer readers that I can be proud of. 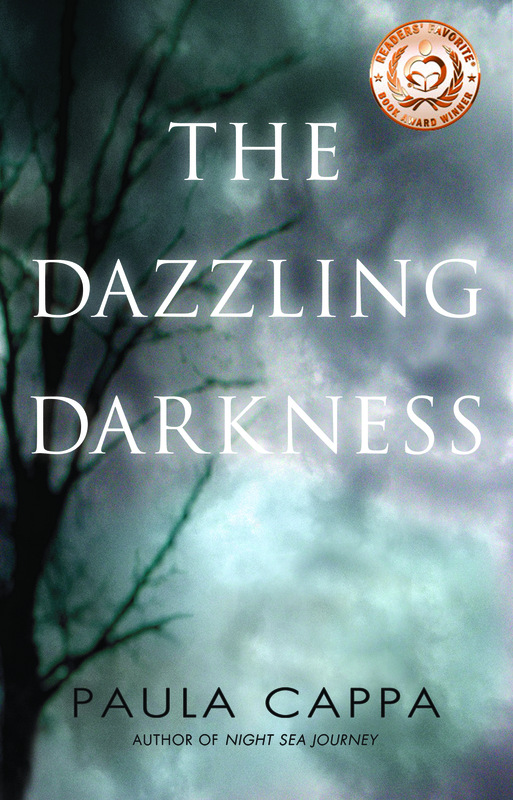 Today, I’m happy to announce that Crickhollow Books (Crispin Imprint) in Milwaukee, Wisconsin will be publishing the print editions of The Dazzling Darkness and Night Sea Journey. Release dates might be as early as December. 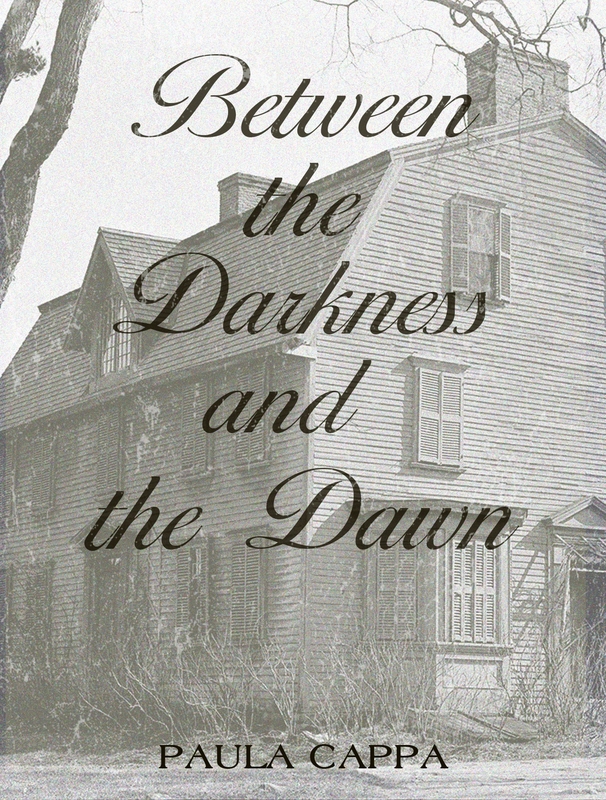 Another piece of good news, Whistling Shade Literary Journal in St. Paul, Minnesota has just published my latest ghost story, Between the Darkness and the Dawn in their print edition (Internet edition will go live next week). My Reading Fiction, Tales of Terror blog is nearing the 10,000 hits mark in less than a year of posts. 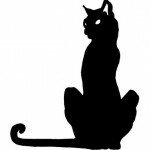 And if you are a regular reader here, you can probably sense my dedication to (and my joy because I love doing Tales of Terror) writing highly inviting story introductions and hunting for the most thrilling and provocative classic short stories to post every week. I value every single follower and visitor and especially your comments. Thank you to all the readers who are following me, commenting here, and reading my novels and short stories. 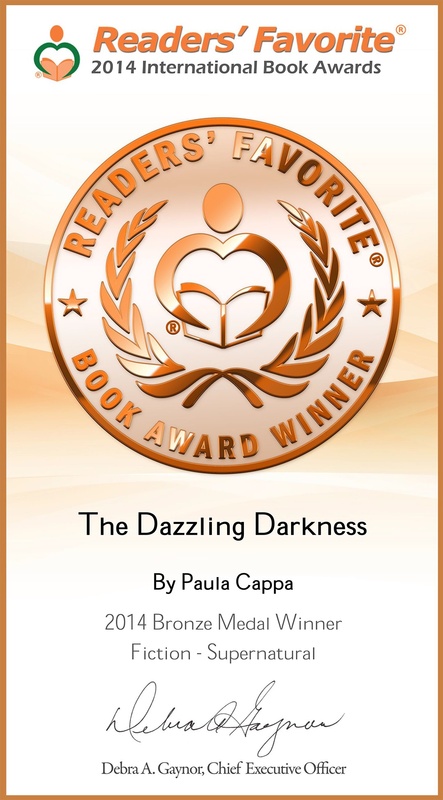 Most of all, thank you for sharing my writer’s journey. Which continues, as I’ve got two more short stories on the fire and a third novel drafted. Balance … kind of like riding a bike, right? Keep on peddling. On Halloween, take a clean whiff of the air. I mean really breathe in the landscape. Daylight is full of the toasted scent of rusty leaves. Maybe there’s a cider sunshine that sweetens the sky. But once that moon rises, the night’s scrim evokes thin spirits among the haunted oak trees, a bit smoky with tart of crab-apple, spice of pumpkin. And while the dead leaves crack at you like popped corn, taste the descending wind as it turns to cold ash when midnight strikes. I love Halloween! So, for this week’s Women In Horror, let’s go contemporary. I know we love classic tales of terror, but I thought I’d divert in honor of Halloween and offer you a modern-day Woman of Horror: Kelly Link. 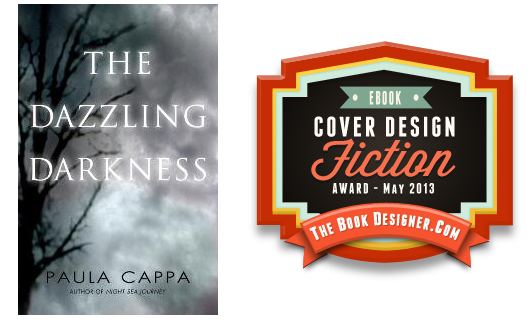 Her short story The Specialist’s Hat won the 1999 World Fantasy Award for Short Fiction. In The Specialist’s Hat, we are in a two-hundred year old house called Eight Chimneys. Claire and Samantha are twins spending the summer there with their father who is writing a history of the house. The mother is dead. The girls like to play the Dead game. The caretaker Mr. Coeslak says the woods aren’t safe. And here’s the thing. Neither is the attic safe. Don’t go into the attic. This night, the little girls are with a babysitter, playing their Dead game. “This house is haunted,” Claire says. Something is sighing across the floor. Would you like to go into the attic and play the Dead game with Claire and Samantha? Kelly Link is the author of three collections of short stories, Stranger Things Happen, Magic for Beginners, and Pretty Monsters. 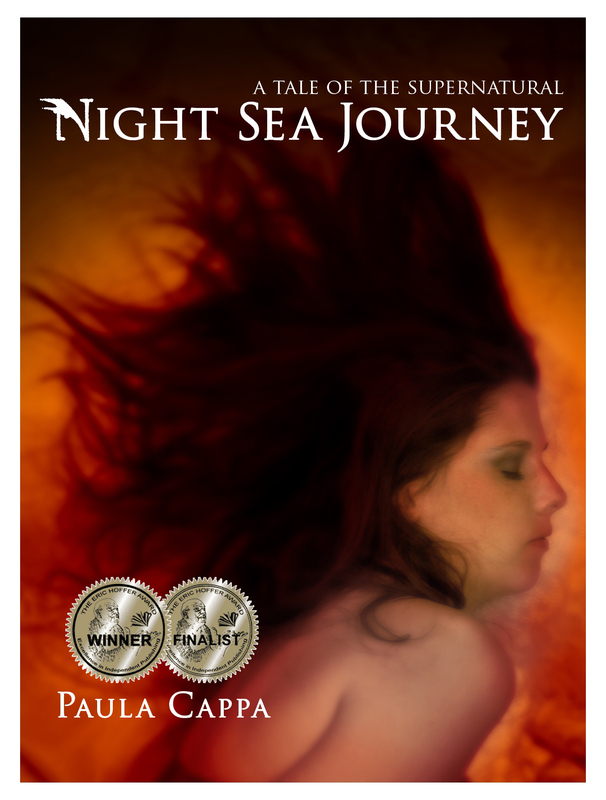 Her short stories have won three Nebulas, a Hugo, and a World Fantasy Award. Stranger Things Happen, was a Firecracker nominee, a Village Voice Favorite Book, and a Salon Book of the Year. And for my diehard classic fans, I bring you two stories from another Woman of Horror: Mary Elizabeth Braddon. 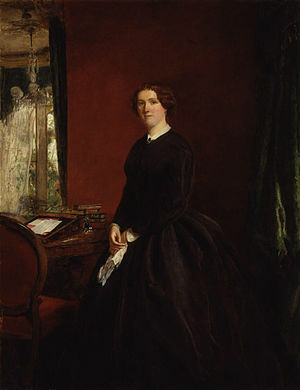 Braddon was a prolific writer with over eighty novels, her most popular novel Lady Audley’s Secret (1862) and the highly acclaimed ghost story At Chrighton Abbey. The Cold Embrace (1860) is a chilly tale of love and romance. Gertrude is hopelessly in love with a handsome and charming artist, who swears his passion for her as well. But the golden dawns and rosy sunsets don’t last for long. How easily some men are bewitched. Read The Cold Embrace at Gaslight. I hope you’ve enjoyed October’s Women in Horror at Tales of Terror. 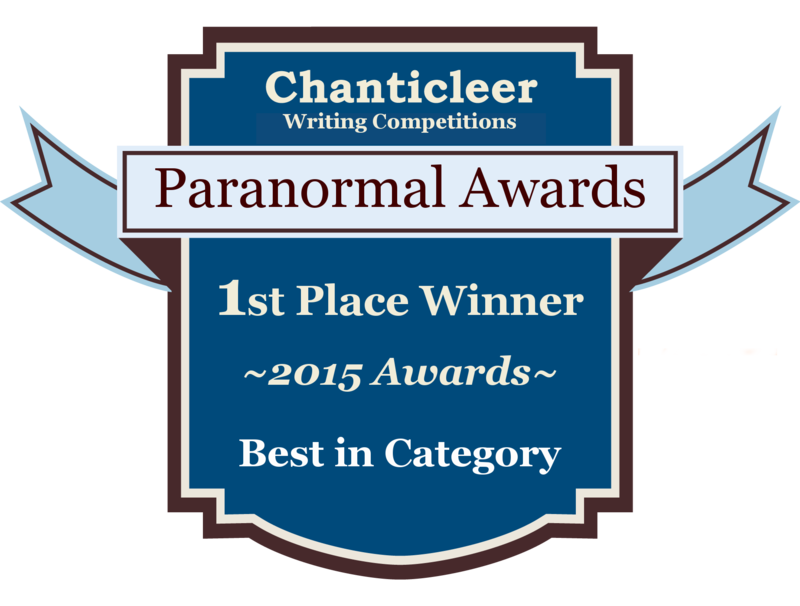 If you have a title or author you’d like to share, please drop a line in a comment box. And if you’d like more about Women in Horror, I have a guest blog at Monster Librarian, “Literary Ladies of Horror’s Haunted Mountain” where you’ll find a number of titles and authors, classic and contemporary. 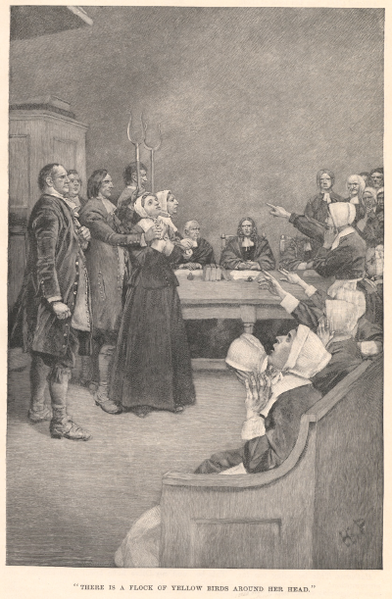 The two are within a half a mile of the old Proctor house, known to be “full of devils.” As if that weren’t enough, the entire Proctor family was just arrested and jailed for witchcraft. 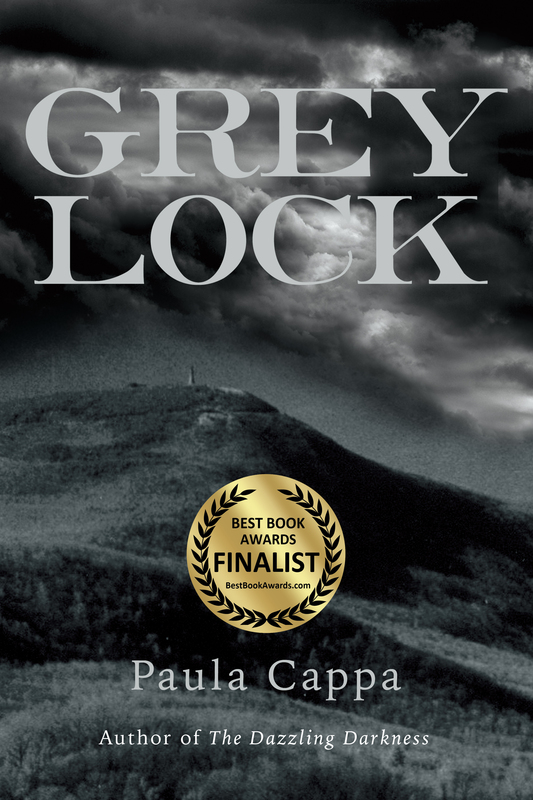 Ann and Joseph, fearful of what evil hides within the woods there, intend to drive their horse fast and furiously down the road passed the Proctor house when they see a cursed glossy black beast. 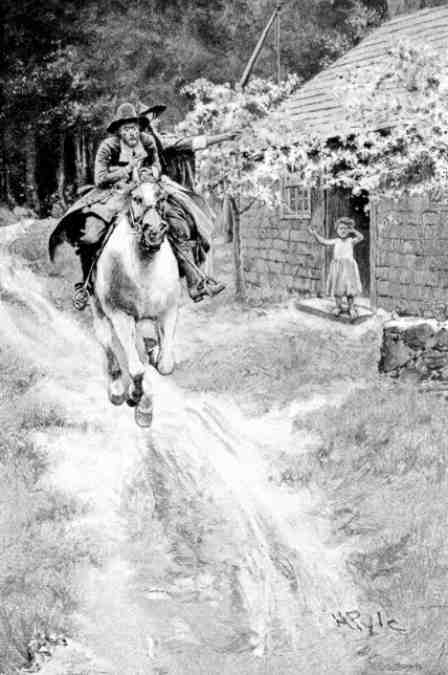 Terrified, Joseph speeds up, but Ann catches another sight … a little maid at the front door of the Proctor house. 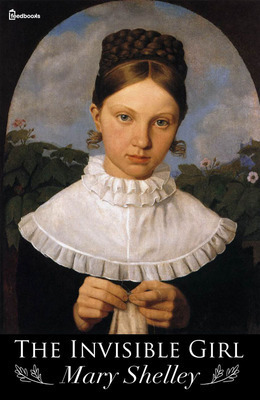 And here we meet little Abigail Proctor, abandoned child with a corn cob poppet (doll). Is she a witch too, like her mother, father, brother, and sister? With the excuse of dropping her shoe, Ann convinces Joseph to stop their horse so that she may engage the sad child at the door. 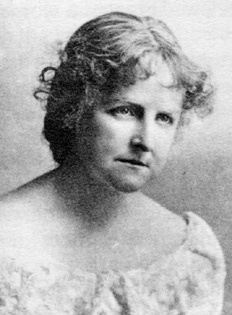 Author Mary Wilkins Freeman had volumes of her short stories and novels published, many stories in the prestigious Harper’s New Monthly Magazine. 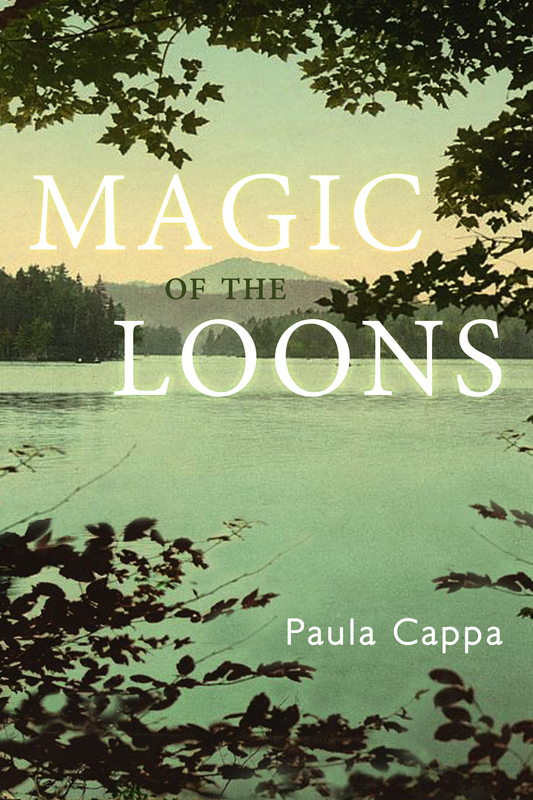 She was the first recipient of the William Dean Howells Medal for Distinction in Fiction from the American Academy of Arts and Letters. 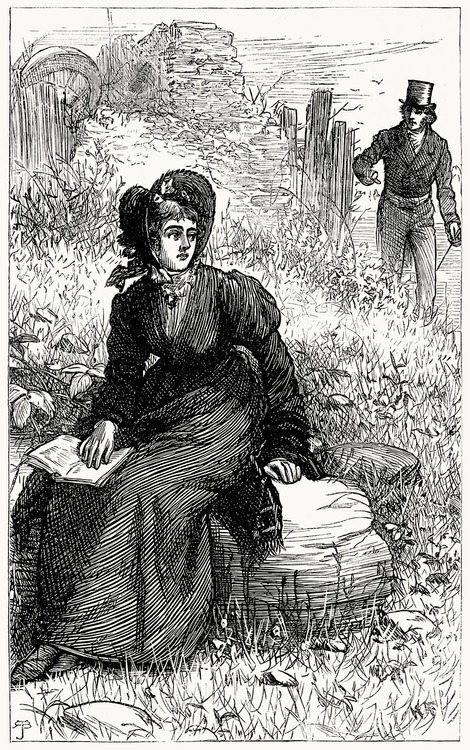 Her writing had a direct influence on readers because of her themes of rebellions of spinsters and the oppressive confines of 19th-century married life. Are you into listening to radio plays? At ScribblingWomen.org Freeman’s short story Louisa was adapted into a very entertaining radio play about a young woman who resists the pressures of contemporary marriage. Listen to Louisa here: http://www.scribblingwomen.org/mflouisafeature.htm Scroll down on that screen and you’ll find more fiction adapted into radio plays by a number of women writers: Willa Cather, Kate Chopin, Charlotte Perkins Gilman, Edith Wharton, and more (and not just horror stories). Good gosh, I couldn’t stop! This author has so much to offer us. Do drop me a comment if you’ve enjoyed discovering Mary Wilkins Freeman’s fiction. 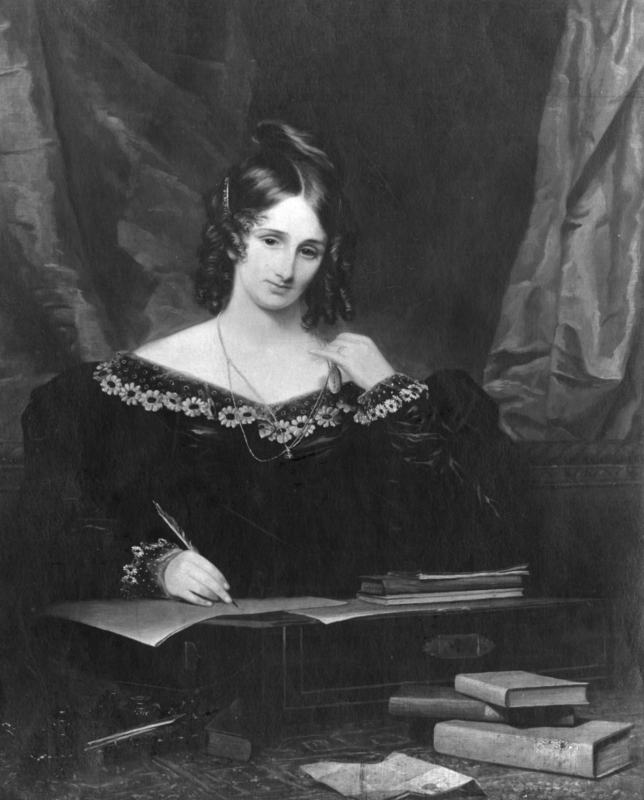 October’s Women in Horror wouldn’t be complete without spotlighting Mary Shelley. Today I bring Mary to you as a ghost writer … and something more: a reflection. 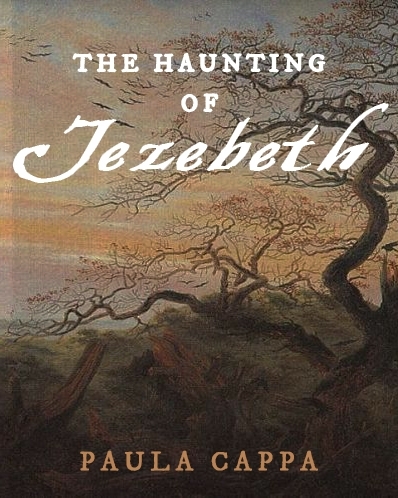 She wrote over twenty short stories, most of which are forgotten now beneath her Frankenstein fame. In The Invisible Girl, she writes a story of forbidden love (is there no greater love?). Here you will discover a ruined tower on the bleak seaside between Wales and Ireland. From this tower flows a light. 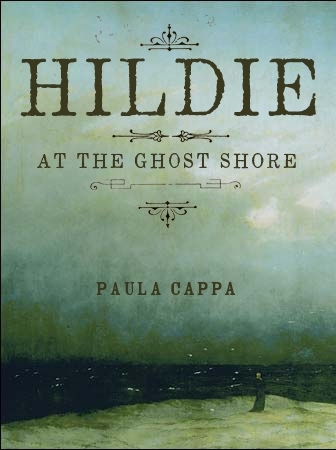 Local stories claim she is the ghost of a maiden who lost her sweetheart and lives within the tower, shining her light over the sea. She is known as the Invisible Girl. What thrilling prose! She asks in this essay, “What is the meaning of this feeling?” I think Mary exhibits the answer in her powerful but subtle ghost story. The Invisible Girl is by no means an ordinary story. The plot presents some questions but the theme is delightfully emblematic. I do so love when the supernatural is mixed with the driving human emotion of love and the psychological depths of grief. Our protagonist is Henry Vernon, son of the baronet Sir Peter. Henry falls hopelessly I love with the young and sweet Rosina. Sir Peter forbids this marriage and poor Rosina is cursed, cruelly banished to wander the woods with no resources, and surely dies. 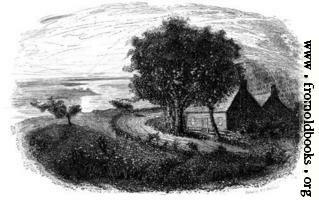 With this image of his beloved dead, and driven by a frantic horror, Henry goes in search for her body, sailing the coastline to Wales. 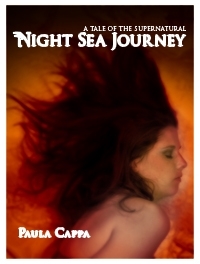 A threatening storm suddenly hits their small boat in the pitch black night. In the distance, Henry sees a mystic beacon of light shining from the shore assuring their safety. But is it a “fairy” light or is it real? Who burns this light in the deserted ruin by the sea? Is it the ghost of a maiden who lost her sweetheart? What Henry experiences there in the shades of night, in the sequestered ruin, is the invisible girl. And … on the feeling heart, a belief that influences do exist. I sure would love to hear your thoughts about Mary’s The Invisible Girl. 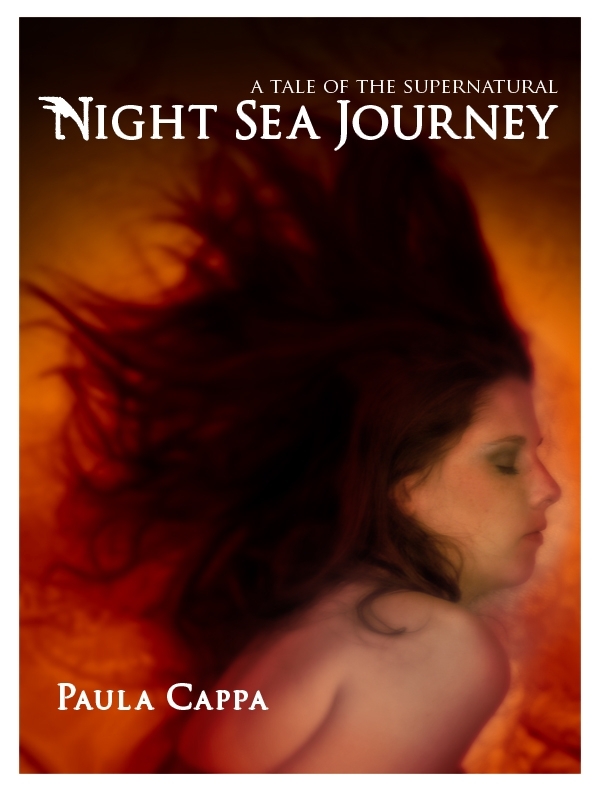 May I offer you an update on my novel, Night Sea Journey, A Tale of the Supernatural? Words create images. Does this headline conjure up images of craggy women flying on goats or witches dancing back to back around fiery circles? Press refresh in your mind. What if musical notes could create thick shapes and figures right before your eyes? Imagine the dance of violin music. If you’ve ever listened deeply to Paganini’s Witches’ Dance (La Streghe) you might know how his music can enter us in a very muscular way. But could music transform into a spell of images before our eyes? If music could perform such a supernatural event, is it the violin or the violinist that has that power? Mme. Blavatsky brings us a story full of musical mesmerism, and Paganini is a major character drawn in full color. 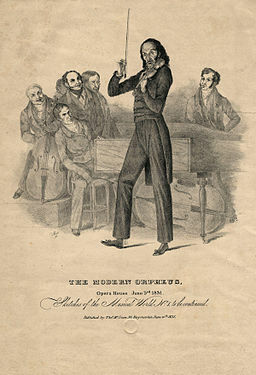 Paganini’s reputation for becoming bewitched by the devil in exchange for his brilliant career holds the central theme. The Italian was revered for playing his Witches Dance “pizzicato” with the left hand directly on the gut strings—without the aid of the bow. Was his superior talent singularly human? In The Ensouled Violin, Franz Stenio, our semi-talented, young and aspiring musician dreams with his eyes open. He daydreams of nymphs and sirens, Calliope, Orpheus, and Olympus. These muses contribute to his Bohemian and penniless life. Until an old German, Samuel Klaus, a generous and hearty music teacher, decides to take Franz into his home as his own son. Klaus instills in Franz an ambition for exceptional talent and worldly fame, fame that might compete with the great and powerful Paganini. Off they go to Paris. Yep, there are lots of discordant notes going on here, cacophonous cries of frenzy, a phantasmagoria, and Eastern Black Magic. Violins are mysterious instruments, singing out to us with the smallest swipe of the bow from their enchanting gut strings. One wonders, exactly whose gut strings are they that can create such beautiful sounds? Goats? Cats? Sheep? This is where the story gets especially ghastly. What kind of gut strings does Paganini use in his violin? Unselfish holy love? Blavatsky doesn’t leave us hanging for long with this sinister turn in the story. By the witches of Thessaly and the dark arts of Circe, our young and tender Franz chooses his fate … and the fate of another. Blavatsky was a seductive storyteller. She became famous for being a philosopher, spiritualist, pioneer in the occult, one of the first people to coin the phrase the sixth sense, and was co-founder of The Theosophical Society in 1875. Her fiction is a small batch of stories in Nightmare Tales, published in 1907. 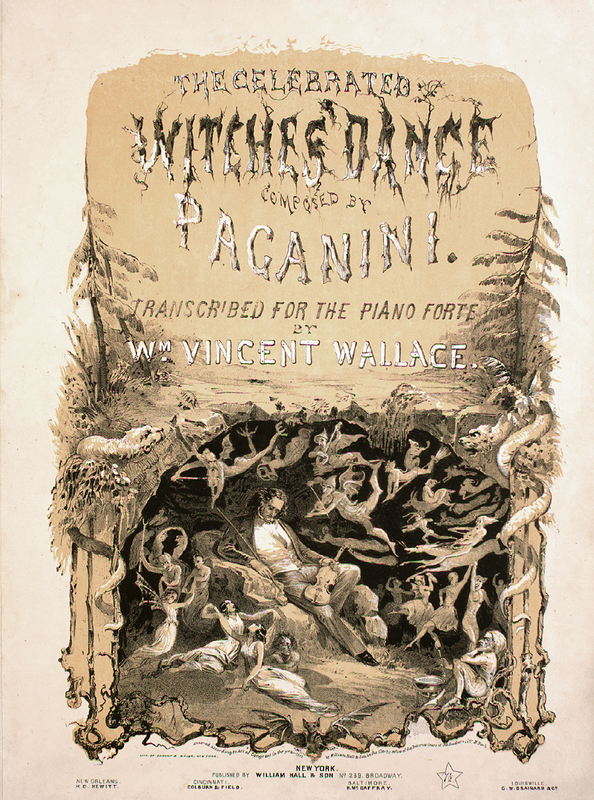 May I suggest, for an added appreciation of this very extraordinary short story, you listen to Paganini’s Witches Dance at Classical Music Online. What could be better than a classic horror story and a magnificent piece of classical music to complement the experience? Well, perhaps a glass of wine, preferably in a cut-glass goblet. Magnifico! You can access more of Mme. Blavatsky’s short stories in the links below, at the Theosophical University Press Online Edition. Literary Ladies of Haunted Mountain. Who are they? You are invited to my first Guest Blog at Monster Librarian! “Literary Ladies of Haunted Mountain” complements my Women In Horror month for October’s Tales of Terror. Please click below on Monster Librarian. Monster Librarian has information on current mainstream horror and various lists of older books, reviews, and resources. This site has no other agenda than encouraging people to read and supporting readers of the horror genre. Come back and leave me a comment!